Maybe more star names will play at Sun City? 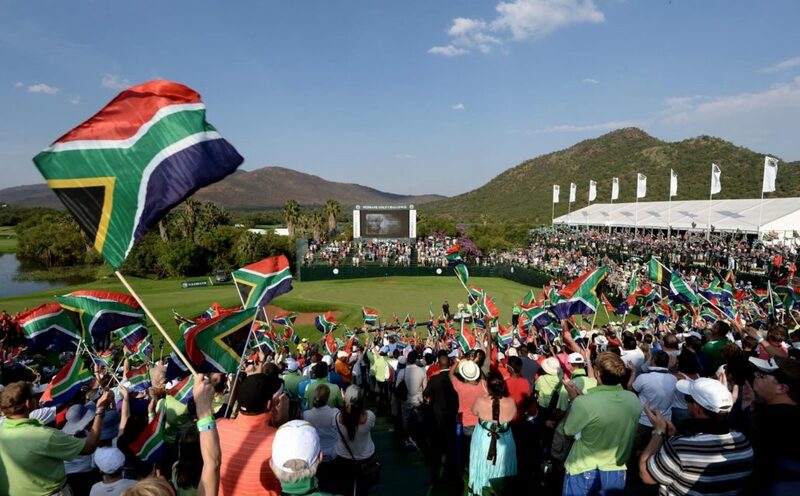 The Nedbank Golf Challenge will be more appealing to the European Tour’s best after it was boosted by changes to the end-of-season offering. The Race to Dubai received a facelift with the announcement of changes to the final three Rolex Series events of the 2019 European Tour season, to include largest first prize in the history of tournament golf alongside significantly increased Race to Dubai points. The season-ending DP World Tour Championship, Dubai, played at Jumeirah Golf Estates from 21-24 November 2019, will now see the winner pocket a cheque for $3-million, up significantly from the $1.33-million won by Danny Willett last November. The DP World Tour Championship is the final Rolex Series event of the season, and the two Rolex Series events preceding that on the schedule – the Turkish Airlines Open from 7-10 November and the Nedbank Golf Challenge presented by Gary Player from 14-17 November – have also seen their first prizes substantially increased. The winner of the Turkish Airlines Open will now go home with $2m (up from the $1.16m won by Justin Rose in 2018); while the champion at the Nedbank Golf Challenge will receive a cheque to the tune of $2.5m (up from the $1.25m won by Lee Westwood in 2018). The overall prize fund for the three events will remain the same (Turkey – $7m, Nedbank – $7.5m, Dubai – $8m) with the balance of the field playing for a $5m prize fund: ie the runner-up will receive first-placed prize money based on a $5m event. With positions on The Race to Dubai now determined on points, these will also rise significantly; with the total number available at each tournament being 9,000 at the Turkish Airlines Open (up from 7,000); 10,000 at the Nedbank Golf Challenge (up from 7,500); and 12,000 at the DP World Tour Championship (up from 8,000). In addition, the field sizes for the final three events of the season have been revised and reduced to show a clear progression from event to event; with the leading 70 players from the Race to Dubai playing in Turkey, the leading 60 competing in South Africa, and the leading 50 lining up in Dubai. The final change is in relation to the Bonus Pool which is distributed at the end of the season. It will now be divided among the top five players in the Race to Dubai instead of the top ten, with the 2019 winner claiming $2m, up from the $1.25m claimed by Francesco Molinari last year. Player participation in the final three events was chief among the reason for the changes. ‘The changes we have announced today in terms of enhanced winner’s cheques, Race to Dubai points and Bonus Pool dividend are designed to increase the excitement around the end of the season for our fans, as well as encourage greater top player participation in our final three events,’ said Keith Pelley, chief executive of the European Tour. ‘We have undertaken significant analysis recently, and have found that had these additional Race to Dubai points been available over the past five years, on average between five and 16 players would have come to our final event with a chance of winning the Race to Dubai, in addition to an average of 43 players having the chance to earn Bonus Pool money at the end of the season, both numbers considerably higher than in those years.